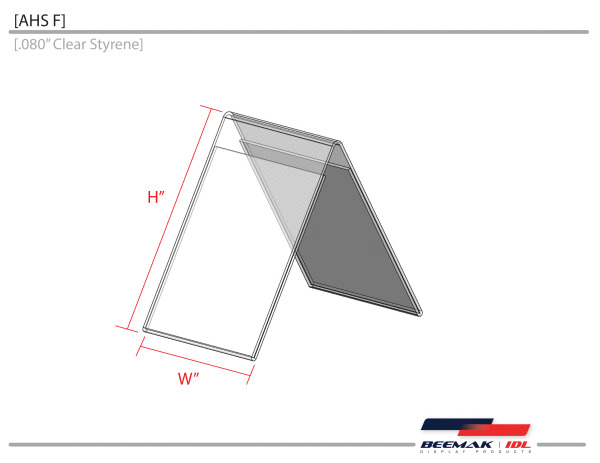 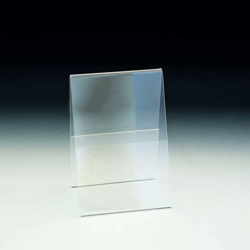 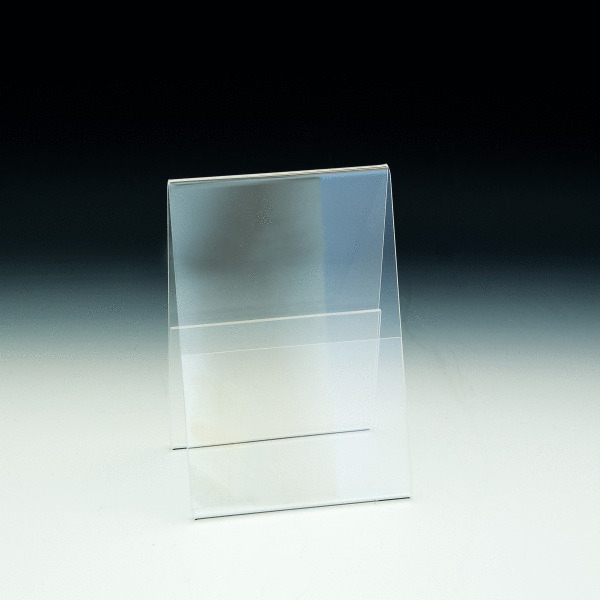 4"w x 6"h clear, double-sided table tent. Perfect for restaurants or anywhere you would want to display a sign. Your printed literature can be loaded from the top, bottom or inner sides.